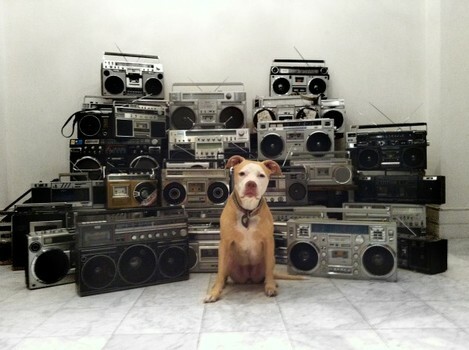 Today Lyle was asked to come down to the WNYC studios to be interviewed about his boombox collection. The interview is charming and informative. Check it out at wnyc.org/soundcheck You can also view the slideshow here. See some samples from Lyle’s collection sitting with his dog Luna below. 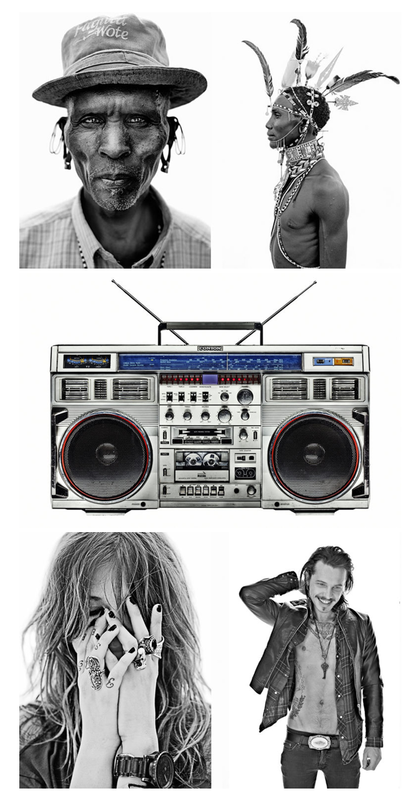 Today Lyle appeared on wired.com along side Mary Ellen Mark, Mark Seliger and other famous photographers. They all posed with their most iconic image. 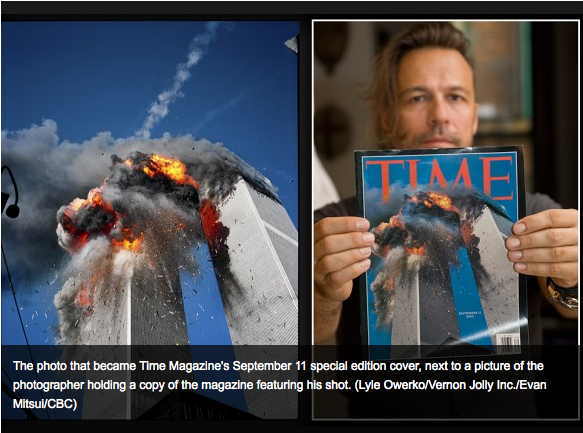 Here, Lyle is seen with his iconic image of the plane hitting the second tower on 9/11. The image ran as the cover of TIME that week. 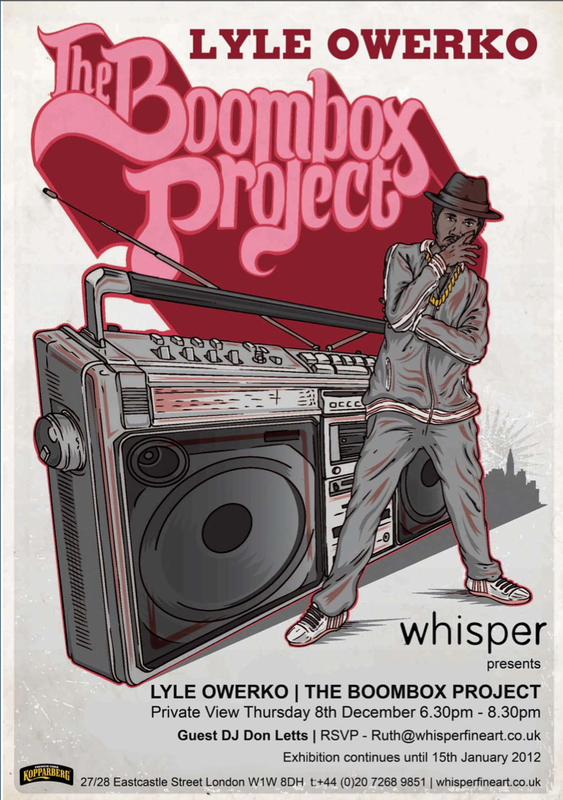 “The Boombox Project comes to London starting later this week — the first opening exhibition is on Thursday December 1st at ‘XOYO’ with a live performance by Das Rascist – the second gallery event will be held on December 8th at ‘Whisper Fine Arts’ – the home gallery of The Boombox Project in London. The legendary Don Letts will be DJ’ing on Thursday Dec 8th at the Whispers Gallery space during the private view.” Lyle will be in London for both events and look forward to seeing all who can make it. The portrait series Lyle shot for super-groovy jewelry company Dannijo has been receiving lots of attention this month. For their look book, Lyle teamed up with creatives and cultural influencers like QuestLove, Leandra Medine (The Man Repeller) and Naveen Selvaduari (of FourSquare) to produce 54 striking portraits. Here’s a look at the behind the scenes video. More portraits to come! On September 11th, 2001, Lyle was just arriving home from a trip from Africa. 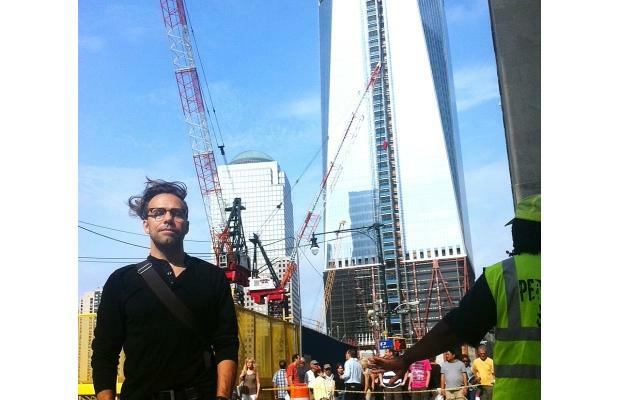 When he heard about the first plane hitting the World Trade Center, he rushed down, camera in hand. The images he took that day have become iconic and in the ten years since, Lyle has become as much a part of the story as a documentarian of the events of that day. Here are two recent interviews about his images and experience. 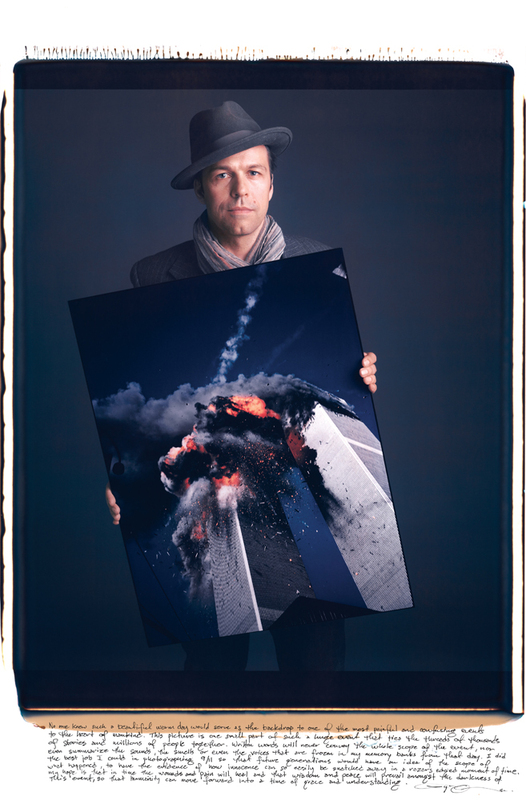 Lyle was recently interviewed by the CBC News about his iconic photo of the World Trade Center from 9-11. The interview is pretty moving. See the whole thing here. An excerpt is below. On Sept. 11, 2001, photographer Lyle Owerko’s camera bag sat beside his door, still packed with multiple cameras and lenses from a trip to Africa. Jet-lagged, he was sitting in his apartment in New York’s Tribeca neighbourhood when the attack on the World Trade Center began. “I heard the first plane crash…. It sounded so close,” Owerko said. The 43-year-old photographer, born in Calgary, raced onto the street and began shooting. The pictures he took were from a street-level viewpoint, bringing an immediacy and intimacy to the horror of the scene. 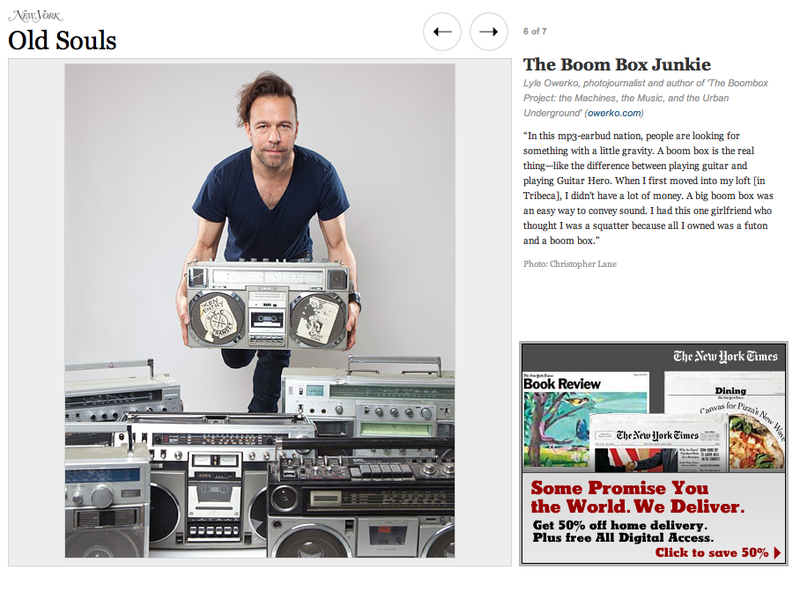 Life and Times, Jay-Z’s new blog, recently ran a feature on Lyle and his Boombox Project. 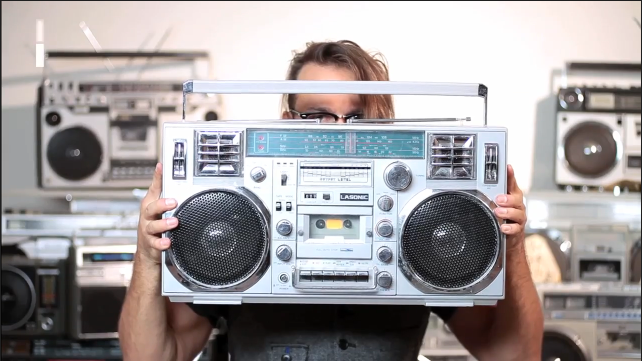 In the profile, he discusses the boombox as a metaphor and talks about how his life-long obsession with these iconic pieces lead to the project. See the full interview here. We are proud to now represent LYLE OWERKO. Lyle Owerko is a filmmaker and photographer whose client list has ranged from Sundance Channel to Time to MTV. His work had been collected by a myriad of businesses, entertainment and celebrity clients and have been used in several films, including Henry Singer‘s The Falling Man and The Omen (2006 film). Jonathan Safran Foer‘s Extremely Loud and Incredibly Close references his photographs from 9/11. His work is also included in the permanent archive of the Library of Congress in Washington DC. Owerko has directed Robert Redford in a series of Sundance Channel commercial spots and as well as the music video for the first single on Grammy Award-winner Jesse Harris‘ new album Feel. He’s also directed music videos for artists like Rufus Wainwright and American Hi-Fi. You are currently browsing the archives for the Lyle Owerko category.